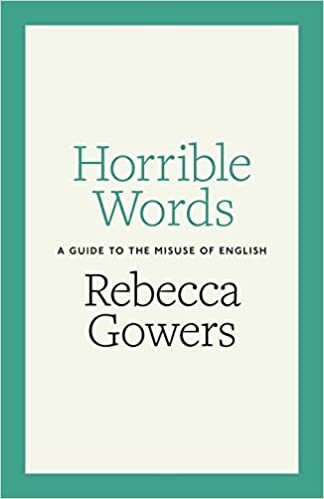 In her book Horrible Words: A Guide to the Misuse of English (2016), Rebecca Gowers uses the word gripers in preference to sticklers (a word I myself always associate with Lynne Truss’s famous Eats Shoots and Leaves), and in her paper at our Life after HUGE? symposium in December last year, she explained why. Force of habit made me check the word in the OED just now, where I found only two quotations for griper, n., sense 7, both from the 1930s and both from an American source (the same one). The entry has not been updated yet (and it will be interesting to see whether Rebecca’s use of the word makes it into the OED when it is! ), but it did make me wonder whether griper in the sense “One who complains” is indeed an Americanism. Is it? This entry was posted in usage features and tagged Americanisms, Horrible Words, Rebecca Gowers. Bookmark the permalink. 4 Responses to Another Americanism? This would seem to suggest that, even given the limitations of the corpus, “stickler” has been the more common term for two centuries in both British and American English. FWIW, GloWbE has nine genuine* hits for ‘griper’/‘gripers’ in the US section, versus three in the GB one and one in AU. The term is not attested in any others. * In the GB section there are 16 spurious hits involving the (rare) surname Griper.